Peanut Butter Chocolate Chip Muffins are warm, tender, moist, with melty and gooey chocolate chips. AND they’re so easy to make! Taste: Nothing like peanut butter + chocolate! 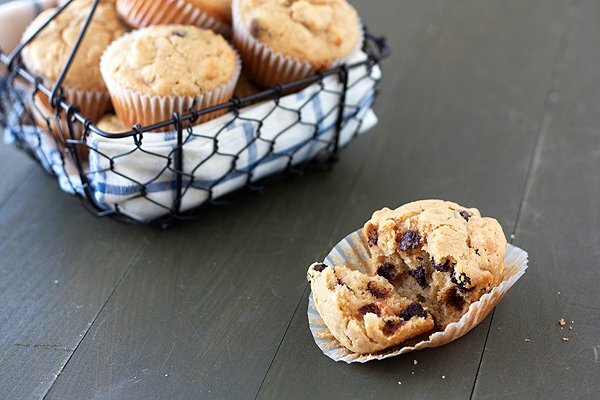 The peanut butter chips really take these muffins to the next level. Texture: Tender and moist. If the muffin is still a little warm the chocolate chips are melty and gooey. Appearance: One bite and you can see all those glorious peanut butter and chocolate chips inside. Pros: Quick, easy, and tasty fix for a sweet craving. Cons: Not a muffin you should really be eating for breakfast – unless you want a slight sugar high! I made some cupcakes a few days ago that didn’t turn out quite right. They were good, but not great. I wanted to post a sweet recipe here today and those cupcakes weren’t going to cut it. 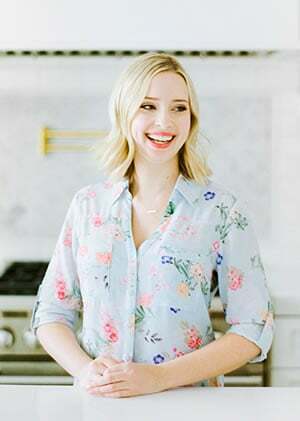 So, I took to the internet to find a delightfully sweet recipe that I could whip up without making too big of a mess that would satisfy my sweet tooth and today’s post. I quickly found this muffin recipe over at The Galley Gourmet, a fabulous food blog if you didn’t already know, and within an hour I had a basket of sweet warm muffins ready to be eaten! And the muffins were perfect. Even better than the cupcakes I had made! Preheat the oven to 375°F. Line standard muffin pans with 12 to 14 paper liners. In a medium bowl, whisk together the melted butter, brown sugar, peanut butter, eggs, milk, and vanilla until smooth. Pour wet ingredient mixture into dry ingredient mixture. Stir until just combined. Fold in the chocolate chips and peanut butter chips. Fill each muffin cup to the top. Bake for 18 to 20 minutes, or until a toothpick comes out clean and the top of the muffin springs back when lightly pressed. Cool in the pan for 5 minutes before removing the muffins to a wire rack to cool completely. Serve warm or at room temperature. Man, that sounds like a great tasting muffin! Can’t wait to try the recipe. Peanut butter and chocolate…a match made in heaven! These sound so yummy. I love anything with peanut butter so I can’t wait to make them. I’m thinking breakfast in the morning ! Made this for study snacks tonight and even though I’m really not a muffin girl I looooove this. I didn’t use peanut butter chips because I didn’t wanna drive to the grocery store so I got a mixture of semi-sweet and skor chips sooo soooooo good. Thanks!